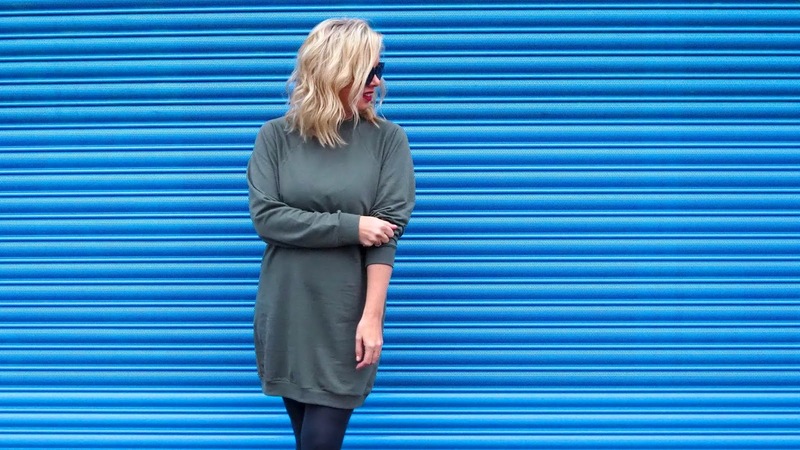 Sometimes being comfortable is all that matters and the minute I saw this cute olive sweatshirt dress on ASOS I knew I had to have it. It's perfect for cold, dreary days when the idea of wearing something tight around my waist (ahem, after a Thanksgiving binge for example) is too much to ask. It's soft, roomy, forgiving and the neutral colour makes it the perfect staple for any wardrobe. I felt chic wearing this with grey tights and matching grey high heeled booties, but I would equally enjoy wearing this in a more casual way with cute sneakers or somewhere in between with a scarf around my neck and a cute pair of boots. At just £18, buying this piece was a no-brainer. I'll probably wear it as is for a while and then pull a Flashdance at some point and cut the neckline to make it a bit more edgy and off-the-shoulder. I do love a good, affordable piece that adds versatility to my wardrobe, don't you?